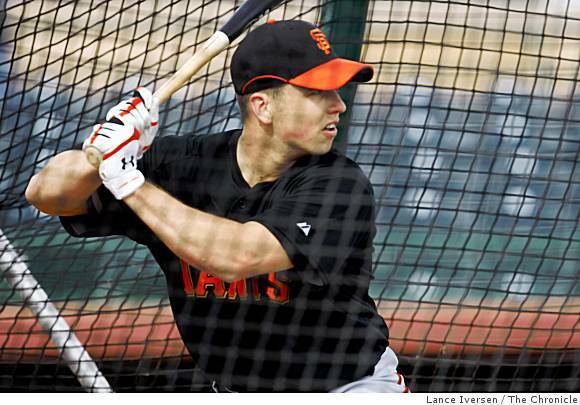 Buster Posey to San Carlos? It’s been a long time since the rumor mill has run this strong in San Carlos. It seems like you cannot go anywhere in The City of Good Living without hearing the story of Buster Posey moving to San Carlos. I’ve heard everything from he’s moving to San Carlos, to he buys his groceries at Bianchini’s, to he’s already bought on Eaton Avenue, to a friend of a friend who is going to be his nanny when his twins arrive at their new San Carlos home. Unfortunately, and I realize I am the bearer of bad news on this one……none of it is true. The honor of claiming Buster’s residence can apparently be made by The City of Orinda. It is easy to see how something like this spun completely out of control. Buster was the rookie of the year and the Giants just won the World Series. To find a similar type of hype, you would need to go back to the glory days of Joe Montana in the mid 1980s. There was a similar type of anticipation with the possibility of Montana moving nearby. Both Montana and Posey were new on the scene and brought the first championships to the San Francisco Bay Area. The difference is that Montana actually did move locally to Redwood City and spent a lot of time in San Carlos and Belmont. Fast forward 25 years and Buster Posey shows up and brings a long awaited championship to San Francisco. Word leaks out that Buster Posey’s wife is pregnant with twins and he is looking to relocate himself in the Bay Area to a comfortable community that is centered around family and kids: enter the San Carlos speculation. I first started hearing the Buster Posey rumors a few months ago. The thing that made the story so believable is that San Carlos seemed to fit the Posey’s current family situation. The story started to fall apart when the different rumors about where he was moving within San Carlos simply did not add up. I received information from a source that I considered to be very reliable that Buster had absolutely no interest in San Carlos. Within the last two days, I had that information confirmed. Not only is Buster not moving to San Carlos, there is no evidence whatsoever that he has even been to San Carlos. For right now, San Carlos is going to have to settle for being the boyhood home of Barry Bonds and Dana Carvey, and of course, the current home of the world famous Brad Lewis. Well, here’s another rumor: I heard he was currently living in Orinda but had to move because there were too many stairs! Too bad… I was hoping it was true and he was moving into the house down the street which never went on MLS (as far as I can tell) but ended up with a sold sign in a couple of weeks! Maybe I’ll hold out hope still. You know rumors can be true and confirmations can be false sometimes. Oh well. San Carlos was home to Jimmy Davenport (SF Giants 50’s and 60’s) for many years. As I recall, he lived near the end of Devonshire. He was in San Carlos Baskin Robbins… and even signed something saying, “Buster Posey was here!”. Good lord. As much as we would all like to have Buster Posey in San Carlos……this is not true. Buster is living happily in Orinda and enjoying and MVP season with the Giants.